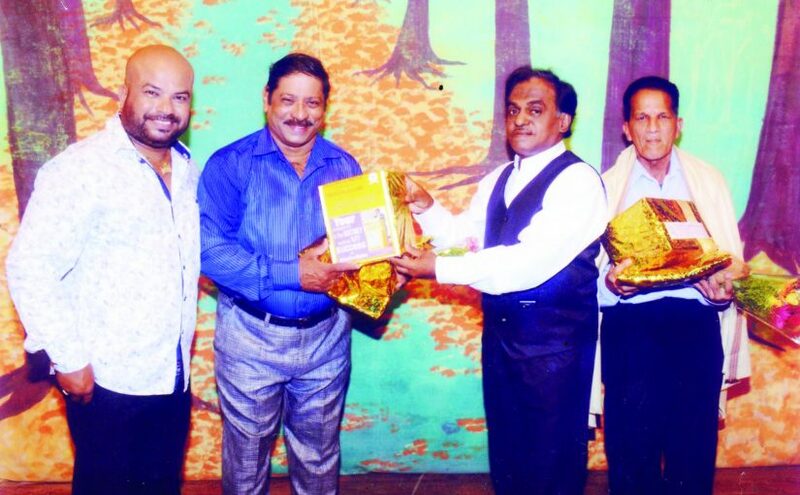 The Chairman of ANN Institute, Porvorim, A N Nagvenkar is seen felicitating Mario Menezes, director of Tiatr Goem Konn Samballtolo and Peter Andrad popularly known as Pakhlo, who is always behind the back stage engaged in stage settings of the Titars for last 30 years during the tiatr held at Mapusa on Sunday,23rd October. Also seen in the picture Melody king of Goa, Lorry Travasso. Karan Johar is controversy’s child! For some reason he attracts run-ins with political parties before the release of every film. Interestingly, this is not the first he has had a run-in with MNS and Shiv Sena. Over the last few years there have been multiple instances when he had to work extra hard to ensure a glitch-free release for his films. Right after the Uri attacks there was a widespread protest against Indian filmmakers employing Pakistani actors. Johar’s latest release – Ae Dil Hai Mushkil – was targeted for it had Pakistani actor Fawad Khan in a lead. Threats followed and Johar finally toed the MNS demand of paying `5 crore from his profits on the film towards Uri attack martyrs, as well as include an opening credit as a mark of respect for the Indian army. MNS withdrew its threats. Other targeted films include My Name is Khan, Wake-up Sid, Kurbaan, and AIB’s roast. While Johar and everyone involved in the show shared the laughs, it upset the Shiv Sena and the affair died out slowly. In My Name is Khan, Bal Thackeray was the political boss and expressed his ire, Johar had to run around and managed the release with police protection. With Kurbaan the Shiv Sena objected to Kareena’s bare back in posters! Is this going to be the politics of the future we’re heading into? Politics of extortion and thugs holding anyone and the country to ransom over mercenary-minded trumped up issues? THIS is to set the record straight. A division bench of the Bombay High Court at Goa comprising Justice FM Reis and Justice Nutan Sardessai has issued notice to the Goa government on controversial former Haryana minister Gopal Kanda’s Golden Globe Hotels Pvt Ltd on a petition I filed over the illegal move by the Goa government to renew and grant an offshore casino license. As the government sought time to file a reply, the court directed that the matter be placed for hearing before the vacation judge next week. I had sought the recall of the order passed by the Bombay High Court at Goa on Aug 1, 2016, which was passed after a misleading statement made by additional advocate general Dattaprasad Lawande to the court which was contrary to the official record. I had pointed out that the court was wrongly informed that the government had favourably considered the representation made by Golden Globe to renew their license from the year 2011 to 2016. Stating that Adv Lawande could not have made a statement contrary to the official position of the government, I drew attention to the affidavit filed by the Under-secretary, Home, on Dec 7 2015, to the effect that the expired casino license could not be renewed. I had only drawn the High Court’s attention to a Cabinet decision taken by the Goa government in 2013 not to renew expired casino licenses. ATM frauds are on the rise in Goa. I have found that a number have originated from Bihar and that there are 33 cases of spam against this number. Our Crime ranch must work to nab these culprits who probably come to Goa as tourists and cheat at ATMs. I have brought this to the notice of the SBI manager at Dona Paula but she doesn’t seem to be interested. I have also reported this at the Dona Paula Police Outpost but they told me that there are plenty of such ATM cheating cases and they are difficult to trace! Your readers to be cautious at ATMs and not to be friendly with strangers asking questions! In India I find taxation full of bad manners. Recently, I ordered a quiche at a five-star hotel coffee shop priced at `130 on display, but my bill was `154 with the addition of taxes. To my embarrassment I found I had `150 with me and had to return the goods for want of `4! In almost every country I’ve been to, food items are price-tagged inclusive of taxes – except in India! This is not correct and very rude. So what one sees is not what one pays and at the cashier’s while paying one may get a shock. At least the five-star hotel cafeterias with their price-tagged food items should spare their customers some rude moments by making their displayed prices inclusive of taxation! Previous post: HOW EXPENSIVE IS DEEPAVALI?